As I brutally sort and purge all the stuff in the basement, I come across a few gems. This was in a pile of framed photos, most of which will be scanned and the frames given away as we just don’t have wall space. 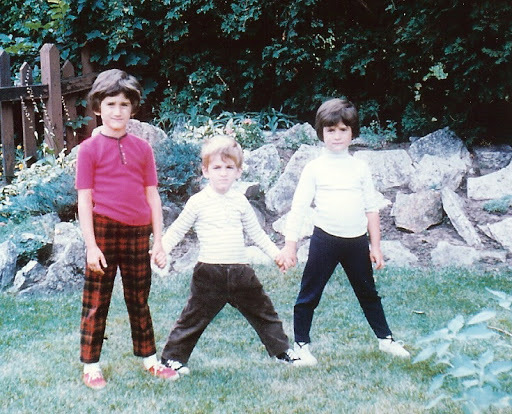 The photo is of me, my brother John, and my sister Frances, in our backyard in Ottawa, circa 1969.